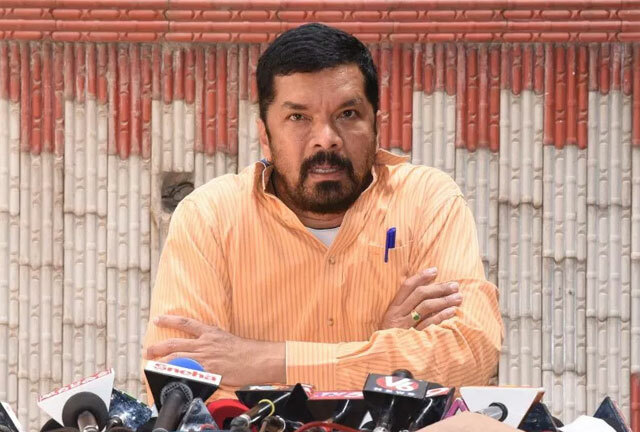 Posani Krishna Murali breathed fire on Yellow Media reports over the notices he received from Election Commission. Particularly, He breathed fire on ABN Andhrajyothi MD Radhakrishna for reporting 'Chandrababu Ki Kulanni Apadinchina Posani'. Poison: 'Apadinchadam Emiti...Can't you see it? Have you lost your eyes? Will any CM say that anybody won't wish to be born as an ST? Won't you make it a front page item had if Jagan made such a comment? Lokesh was found hanging out with Foreign Ladies. Won't you make it a front-page item had if Jagan done that? The heading would be...Amma Jagan...Nuvvu Ilakuda Chesthava, Amma Jagan...Nuvvu Thagubothuvu, Thirugubothuvu Kudana. Can he have the guts to do the same if its Lokesh or Chandrababu? You do whatever you want even if its prostitution, I don't bother about it but don't target Me. I am not Jagan to have a smile on face even if you cross the line. I'm Posani...will remain until the last breadth. I am not just gentleman, but a doberman as well. Nobody can threaten Me. If I have the fate that Radhakrishna will kill Me, It will happen. Feel ashamed to be show favouritism to the Ruling Party'. The Character Artiste showed Hospital Reports to media persons to make public believe he is really facing heath issues and unable to walk. Manchu Vishnu's Best Wishes To Paritala & Devineni!